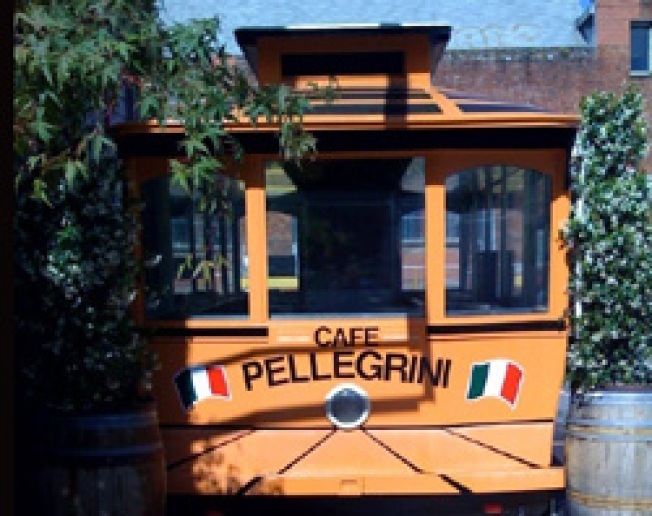 NORTH BEACH—The MenuBlog has the scoop regarding a new food stand at Cafe Pellegrini that is also a vintage cable car. Espresso/pastries will be offered in the morning, a porchetta sandwich at lunchtime and BBQ possibly on weekends. Head over there for more details, including a prospective opening date. RUSSIAN HILL—Hyde Street Bistro has pushed back its remodel-induced closure all the way to August, and has hired a new chef too. TELEVISION—We already know that Chris Cosentino will be gracing the small screen later this summer with Chefs vs City, but the Incanto chef reveals via his blog that he's got another new television appearance in the works too. It's called The Best Thing I Ever Ate, premieres next Tuesday and in addition to Cosentino, features Ty-Flo, Bobby Flay and Ted Allen.